Where can you buy snakes for sale online? The short answer is, lots of places. Here you will find a guide to buying a snake online, with links to sites where you can buy them. If you are seriously interested in snakes, or just have a casual interest, you will find the information and links on this page useful. Serious snake enthusiasts will be able to easily find a specific type of snake, and links where that snake can be purchased. If you have a casual interest in snakes, then by going to those same sites, you can browse hundreds of photos, and price lists of the various species of snakes. Things to know when buying a snake online. If you have never bought a snake online, then there are a few things you should know, before you actually take the plunge, and buying one. First, it is important that you trust the dealer you buy from. There are so many breeders who sell their snakes online, and just picking out a website, and sending them your money, is not the way to go. If you find a breeder, and look at the photos they have on their site, and you think you want to buy one of their snakes, then the next thing you need to do, is find out a few things about the dealer. Will they be there for you, if something is wrong with your snake? How much do they charge for shipping? Do they guarantee live arrival? Some breeders can be very friendly before the sale, and then not so friendly after the sale. A good way to find out the general reputation of a breeder, is to visit snake and reptile forums. If someone has had a bad experience, it has a tendency to get out there where people can see. If you are a person who is thinking about buying a snake for the first time, I would suggest reading as much about the snake you are considering, before you every start shopping for your snake. 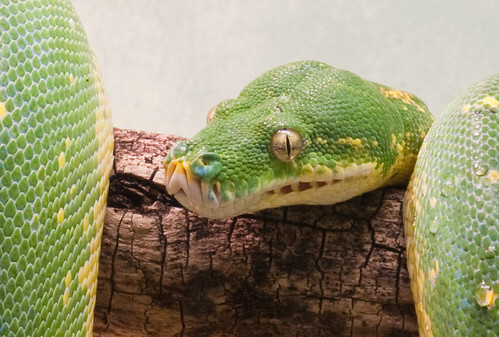 Snakes are living breathing creatures just like a cat or a dog. They also come with responsibility just like a cat or dog. You should know all that is required to keep your snake happy, and healthy before you buy it, not after. You can learn a lot buy reading online, but buying a good reference book, should be part of the preparation for snake ownership. To the right are a few books on keeping snakes, further down the page are books for specific species. Discusses the physical characteristics, health, and behavior of snakes and provides information on keeping these animals as pets. Ball Pythons, are one of the most widely bred snakes in the world. Ball Pythons are amazing. The number of genetic mutations within this species, and the number of different morphs that can be produced by breeding Ball Pythons, is mind blowing. There are literally hundreds of morphs already, and more being produced all the time. Shopping For a Ball Python? If you are interested in buying a Bally Python, I've listed a few breeders below. Some have dozens of different morphs to choose from. Prices vary widely depending on the rarity of the morph. 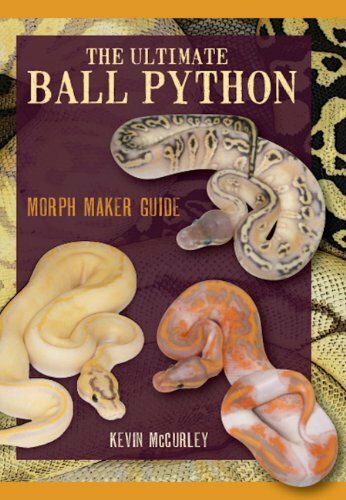 If you want to look at several hundred morphs in one place, you can check out the list of Ball Python Morph Photos. 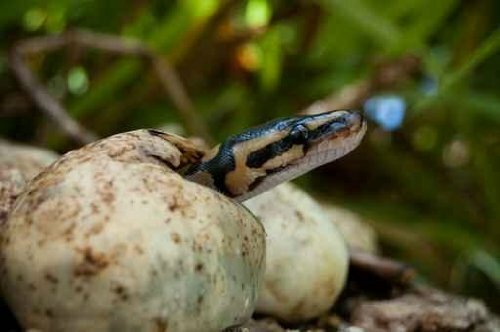 There are literally hundreds of people breeding Ball Pythons, but with the huge list of Ball Python Morphs, there is still room for a few more. A little over a dozen Ball Pythons Morphs at the time of this writing. They have some really awesome animals. Many Ball Python Morphs, and Turtles, Lizards, and other snakes too. Albey's has Ball Pythons, as well as Leopard Geckos, and Fat Tail Geckos. They have some really nice Ball Pythons. They sell Ball Pythons, as well as Bearded Dragons and Leopard Geckos. 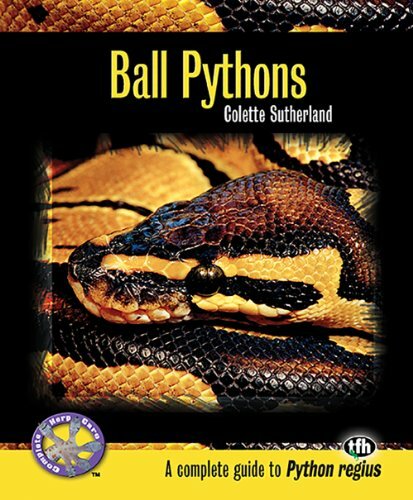 They have some great looking Ball Pythons on their site. Located in Canada, Markus Jayne Ball Pythons has some very nice morphs to choose from. They currently have 75 morphs, and counting. Corn Snakes are second only to Ball Pythons, when it comes to number of morphs in a snake species. 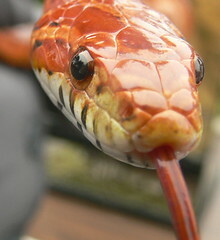 Many experienced breeders started with Corn Snakes, before expanding to other species. I have personally kept Corn Snakes in the past, and in my opinion, Corn Snakes are a good snake for beginners. How Big is a Baby Corn Snake? To the left, is a photo of a baby Snow Corn Snake hatching from it's egg. That will give you an idea of about how small Corn Snakes start out. I didn't normally handle hatching eggs, but did so for the sake of size comparison. Palmetto Corn Snakes are probably the hottest Corn Snake Morph on the market right now. If you are looking for a Palmetto corn snake for sale, the place to go is South Mountain Reptiles (link below). Bailey & Bailey Reptiles has some nice Corn Snakes, but they also sell Ball Pythons. 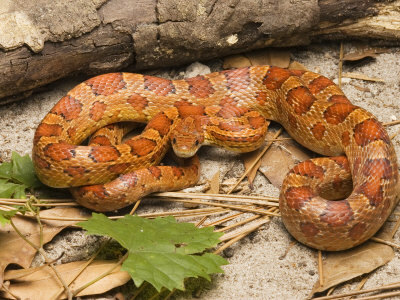 Corn Snakes are just one of many species of snakes, that BHB Reptiles produces. Big Easy Reptiles has Corn Snakes, as well as other snake species. They also have Leopard Geckos. 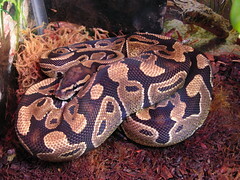 South Mountain Reptiles has a large number of different morphs,. and the most famous of those being the Palmetto. The Palmetto is a brand new morph, and if you have never seen one, you should take a look. They have some nice looking Corn Snakes, and sell other species as well. They have some nice looking Milk Snakes, and Kingsnakes. They sell Corn Snake, but have some great looking Ball Pythons as well. 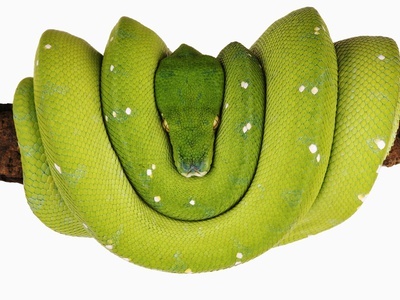 Green Tree Pythons are beautiful, and fascinating. They come in shades of green, yellow, and even blue. They are not really a snake for beginners. 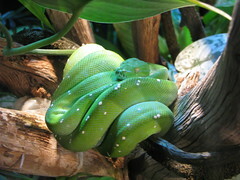 Many people who are into Green Tree Pythons, are into acquiring locality specific snakes. Each locality has it's own unique look. 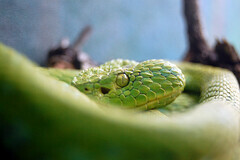 They have tons of photos, and breed Ball Pythons, as well as Green Tree Pythons. Signal Herp has some outstanding photos, and have some really nice locality type Green Tree Pythons, as well as Emerald Tree Boas. Most Milk Snakes are hardy and fairly easy to keep. When buying a Milk Snake, keep in mind that baby Milk Snakes can be quite shy, and in some cases, can be a little hard to handle. With a little patience, most can get used to being handled. Adult snakes in most cases calm down as they get older. Some species have albino, anerythristic, and hypomelanistic morphs available. 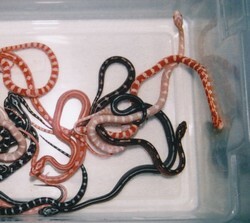 All the morphs of Honduran Milk Snakes, including Hypo, Anery, Albino, Snow, and Ghost. 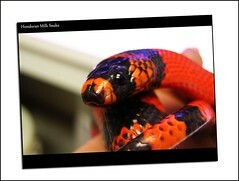 They sell Honduran Milk Snakes, as well as other species of Milk Snakes, and Kingsnakes. They have Honduran Milk Snakes for sale, as well as other Milk Snake species, Corn Snakes, and Kingsnakes. Dart Frogs are some of the most colorful, and interesting animals on the planet. Here you will find information on how to keep dart frogs in captivity, and where to buy them. Whenever animals don't look the way they are supposed to look, it is very interesting to see, and most people are fascinated by photos of albino animals of any kind.